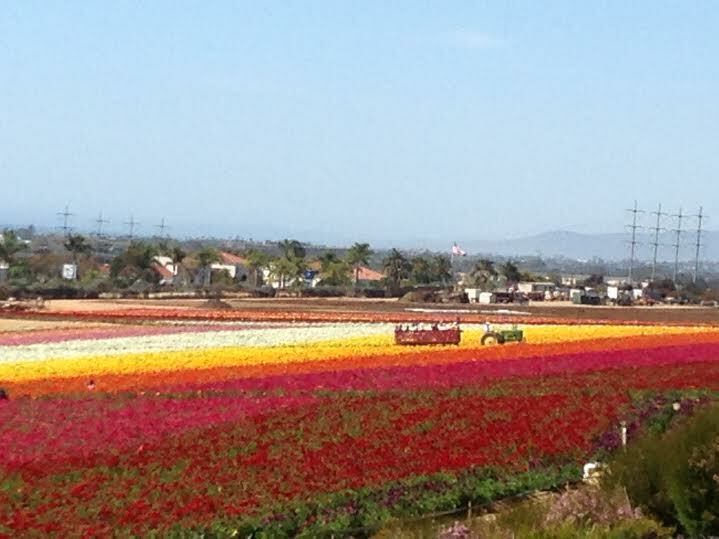 Get off the freeway, stop and enjoy the colorful gift that nature provides at the Flower Fields at Carlsbad Ranch. I remember back when I was a little girl and my family drove south on the 5 freeway to visit relatives in San Diego. 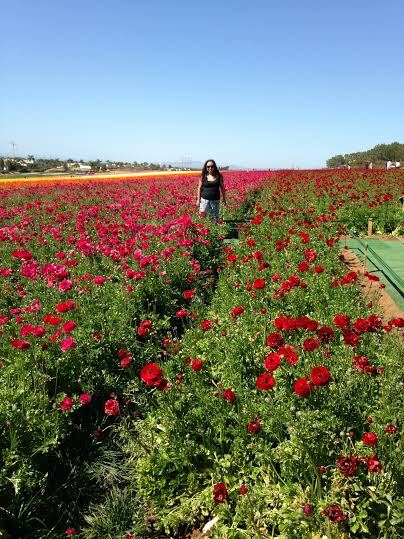 I would look out the car window in awe at the rainbow of colors whenever we passed by the flower fields. I thought to myself one day I will stop and visit. That day arrived this past weekend. After last week’s disappointing non-flight, I decided to do something easy breezy. And what girl doesn’t like to be surrounded by flowers. 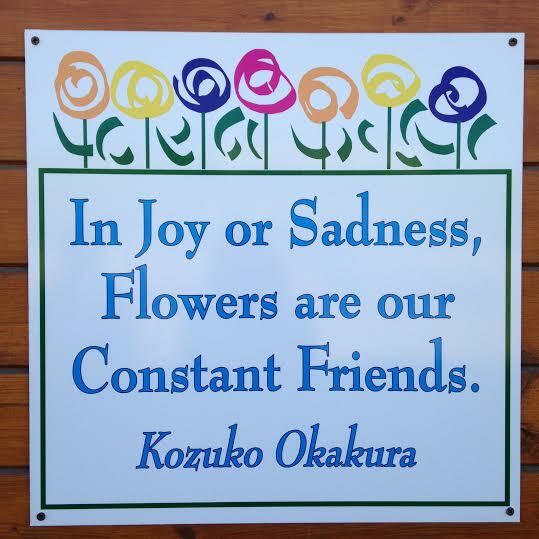 (Well, I like flowers – hint, hint to any potential suitors). Now that I actually live in San Diego, it’s become one of those things when you live someplace you don’t always enjoy what is offered in your area. That’s partially what I am trying to fix via this 50 Weeks to 50 blog. Once in, you are immediately infused with color. 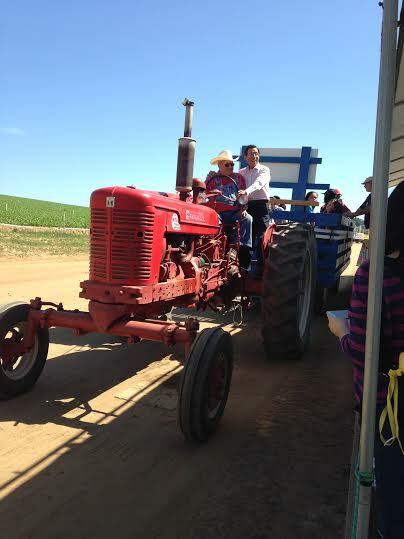 We decide to take the old-fashioned tractor pulled wagon ride to the north fields that were in full bloom, and get a full overview of the place. 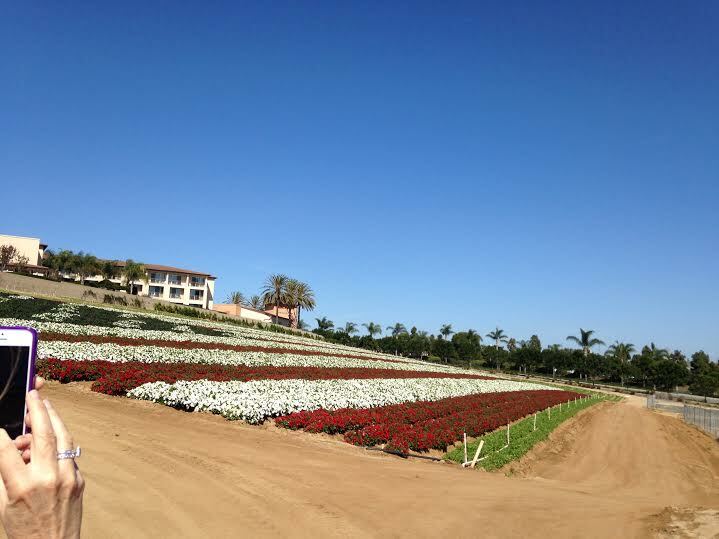 Over 50 acres are dedicated to growing the Tecolote Giant Ranunculus, where the flowers are either cut for sale or their bulbs are later harvested also for sale. I would love to have even a smidgen of color like what I was seeing in my yard. 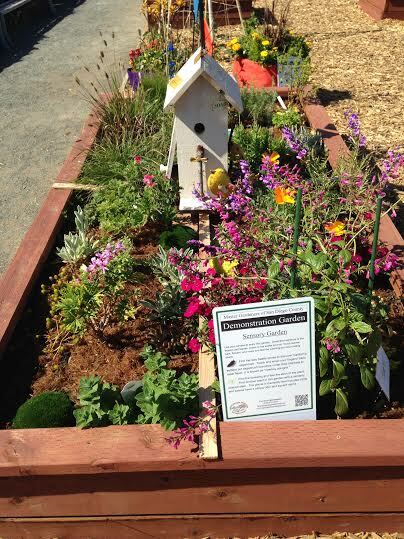 Maybe the UC Garden Club folks can help me out? What a beautiful ride. 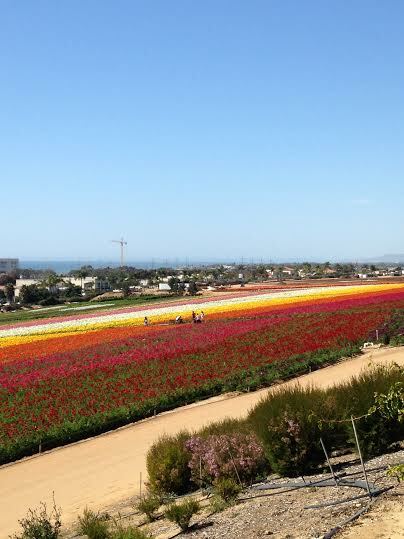 Not only did you see a rainbow of flowers, but the clear blues of the Pacific Ocean below and the skies above were picturesque, this is why we live where we do — and we really must take advantage of our locale. At the wagon stop, we got out to walk amongst the flowers. The pictures do not capture the splendor. 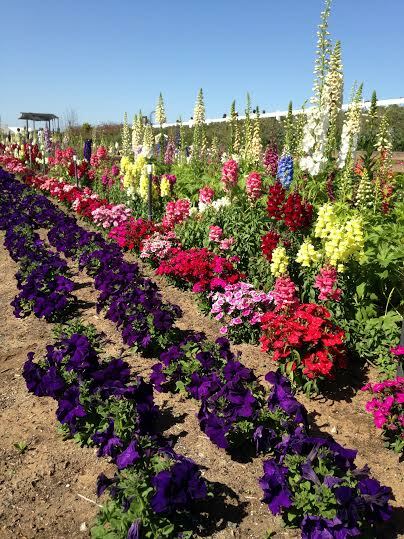 Yes, they are planted on purpose, not wildflowers, but what human creativity and nature combined can create – it’s art. 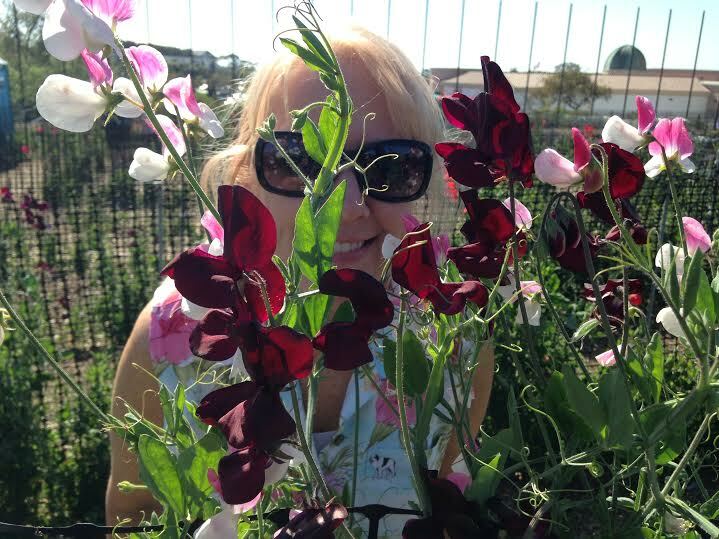 I wanted to run into the middle of the flower fields and play hide’n’seek like a little girl playing in the park, but guests are kept to certain photo spots and the outer edges. It was bad enough I almost fell backwards onto some flowers while posing for a photo, luckily I fell forwards. Always the klutz that I am. We walked up a short hill to get a better viewpoint. Ahhh, we could have sat there for hours, the calmness of the floral surroundings was mesmerizing. All around you, rows of purple, red, pink, white, orange, yellow. The hills are alive, with the colors of the rainbow…you really don’t want to hear me sing. Next time I will bring a picnic lunch so I have a reason to sit and enjoy for a longer time. After we are done looking in awe, we get back on the wagon and continue to gaze at the fields, passing by the U.S. flower flag (hard angle for pictures). Once back it was time for a snack – well the ice cream stand was right there and it was hard to resist. 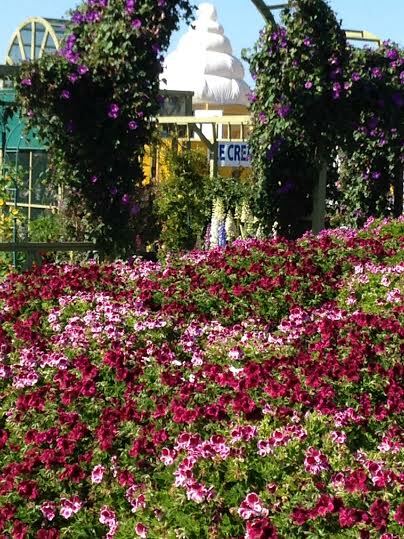 With ice cream cones in hand we went to explore the rest of the Flower Fields. Oh yes, there’s more to it than the fields themselves. They have done an excellent job of creating it into a family excursion. Remember Santa’s Village at Lake Arrowhead? A couple of those structures were moved here as part of the children’s playground. Then there’s the Paul Ecke Poinsettia display, a sweet pea maze (which we successfully completed), mining, and other inspirational gardens. Looking around will provide the gardener in each of us lots of inspiration. Cleverly, there’s an Armstrong Garden Center onsite, where you can also buy cut ranunculus to take home. My souvenir for the day. 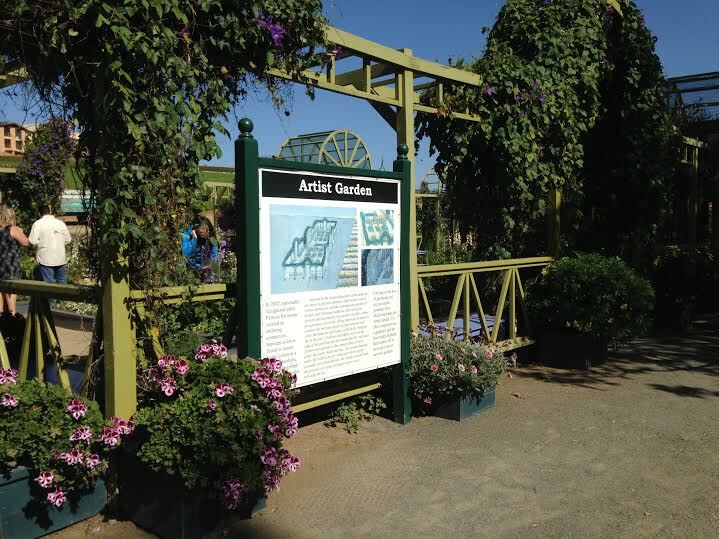 The rest of the season (this year they are open until May 11), many other special events are planned ranging from musical events to arts & crafts shows. 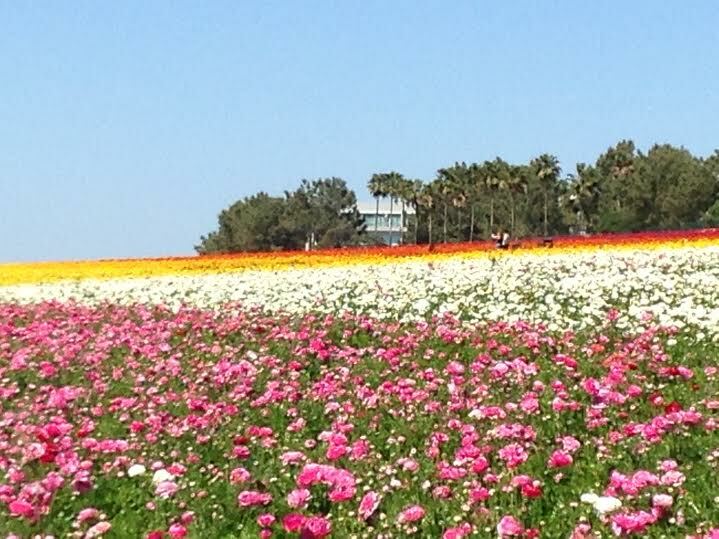 So if you’ve driven by the Flower Fields and always wanted to go, get off the freeway and spend a lovely afternoon stopping to smell the flowers. 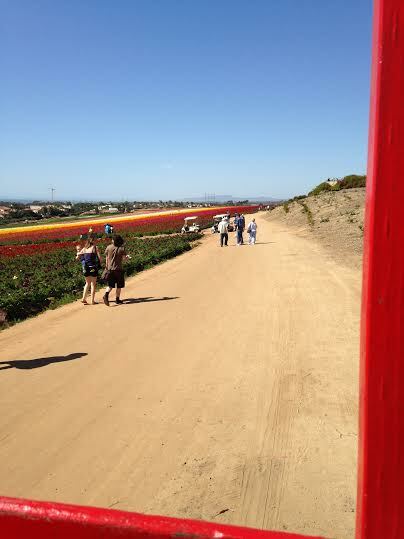 And if you’re going to the Flower Fields, you might as well go pick strawberries. I’ve taken the kids to Legoland plenty of times during our season pass days, and never have we stopped to pick strawberries. 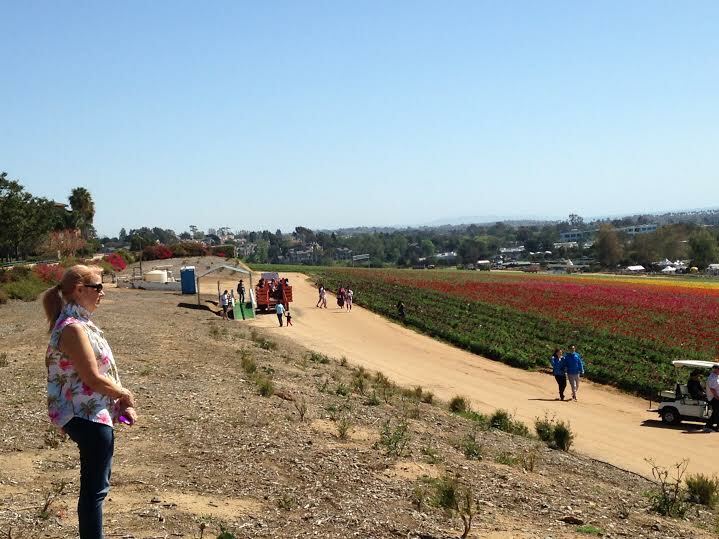 As kids they did go strawberry picking during field trips to the now closed Bell Gardens, but we never did on our own. What the heck. 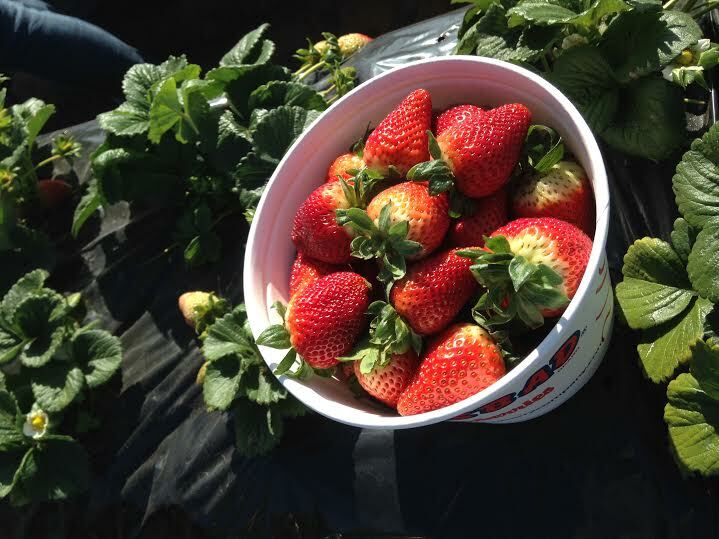 We were in the neighborhood, so a few minutes away we had our big bucket to fill with strawberries. It didn’t take long to find ready to eat (but wash first) juicy red strawberries. Love these food souvenirs! 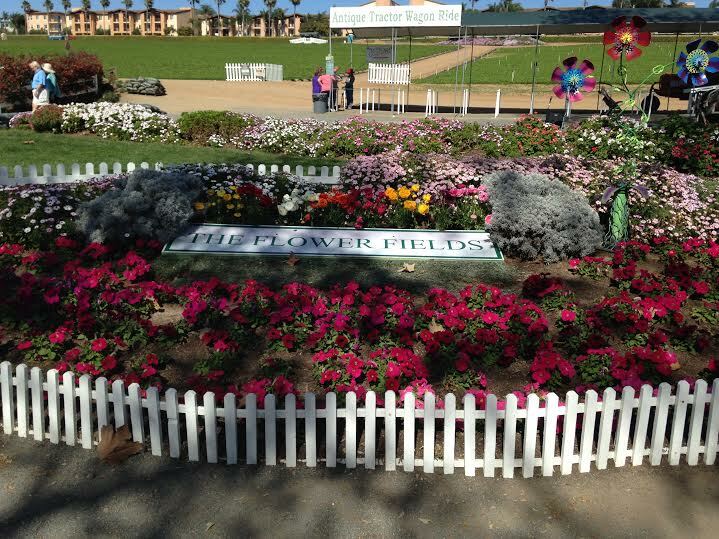 The Flower Fields, Palomar Airport Road exit east, left at Paseo del Norte and you’re there, www.theflowerfields.com, open daily 9:00am to 6:00pm, $12 adult, $11 seniors, $6 kids ages 3-10, AAA discount and season passes available. 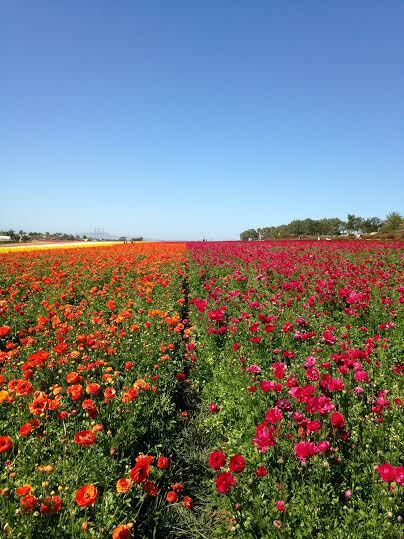 This season the Flower Fields are open through May 11 with many special events scheduled for the weekends – check the website for more details. Pelly’s Fish Market & Cafe, 7110 Avenida Encinas #101 (next to Subway), Carlsbad, www.pellysfishmarket.com, excellent fish tacos, this time I had lobster tacos, yummy! “Meet George Jetson. His boy Elroy. Daughter Judy. Jane his wife.” The Jetson’s was one of my favorite cartoons as a kid, and still is. The idea of that space age lifestyle, pressing a button and having a meal ready, having a robot maid Rosie, walking your dog Astro on the outdoor pad, was so out of this world. And so cool. Transportation was via mini spaceship looking vehicles, and the jetpack…loved that jetpack, even Elroy got around in it. Well, when I had a chance to live that futuristic out of this world experience today, I jumped at the chance. I had seen some news segments about Jetpack America’s version of a jetpack that is water propelled and thought how fun would that be. So when Lacy got a Groupon good for two, guess who was the lucky number two – me! 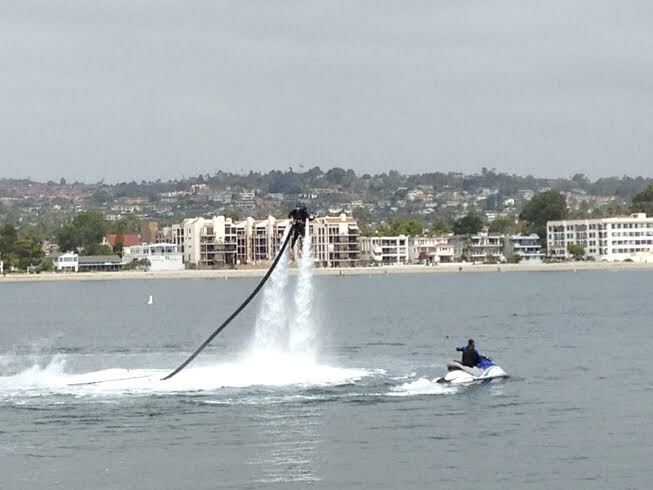 Although I was so excited to jet pack away, I almost didn’t write about the experience. Why? Because I couldn’t do it. I was so disappointed in myself, why would I want to talk about it. But life brings us disappointments and we need to accept them and move on. Also, at the time it was happening I thought I wouldn’t be able to write about it, because I felt for sure I was going to drown. You see, I’ve never learned how to swim. So why did I agree to the jetpack adventure? Well, I really didn’t think it would be a problem. I’m not afraid of the water. I’ve snorkeled, gone on many boat rides, been white water rafting and floated on rivers with a life vest. Also, for some reason I thought that the flying would start on dry land or on a boat deck, not in the middle of the bay where I can’t touch the bottom. I really need to clear up these details better before I sign on the dotted line. 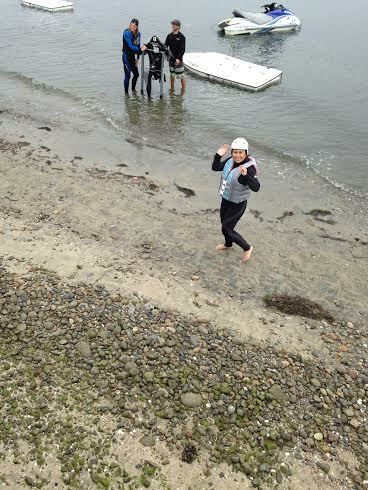 When we signed in at the Jetpack America desk at the Mission Bay Sports Center, we jokingly mentioned that I couldn’t swim. Well, they said that there is a swim test, but it’s not a “swimming” test, but one of making sure you can get back up on the surface. I thought oh sure I can do that. Right. 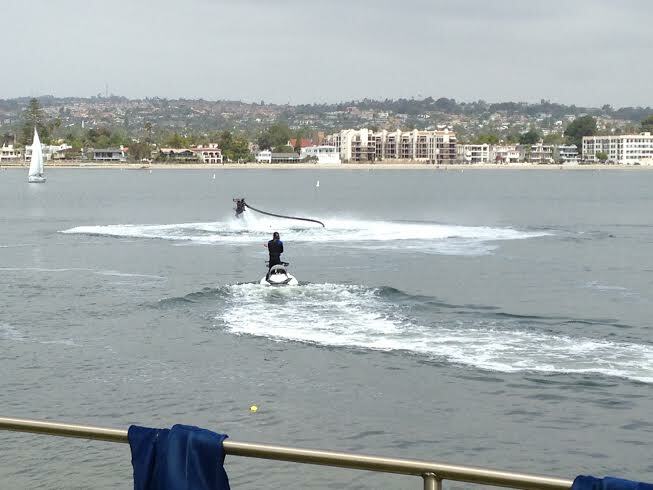 After getting some jetpack training and watching their instructional video, I was more worried about remembering all the details and controlling the thing, not passing the swim test. Okay, out we march with some other guy that was visiting from Trinidad. I decided that he and Lacy should go before me and I would be in the second group — mainly so we could take pictures of each other. Isn’t that important, proof. “I don’t really know what to say. I was genuinely terrified, yet super excited. The idea of getting to do something like this kept my adrenaline high enough to keep me going. 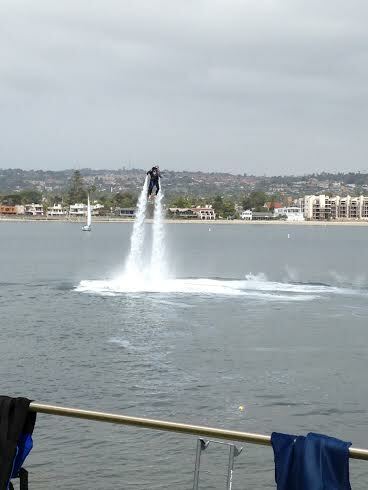 And mostly just to say I wore a jet pack and I flew, even just for seconds at a time. As for scary…it was terrifying. Every time I landed and the guy was ready to send me back up, I didn’t want to go. I wanted to quit but I knew I would look back on the moment and realize how cool it actually was. Okay, it was my turn. I was in the wetsuit (which I really liked wearing, I need to get one of those), and had the helmet on, so no time to think. Let’s get strapped onto the jetpack. It seemed a little more awkward than the training one. Then when very tightly strapped in (and I have bruises to prove it was very tight), I heard voices in my head to walk out into the water chest deep, aka instructor John via walkie talkie. Then and there I probably should have realized it was gonna be a no-go. But stubborn me wants to prove I can do it. I mean, it was on my list for my 50 Weeks, so need to check it off the list. 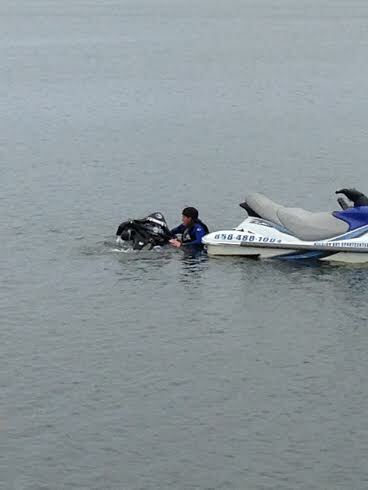 Luckily for me, instructor David was on his jet ski and was basically giving me a one on one swim test. If it wasn’t for him there, I wouldn’t be writing this. So to pass this swim test thing, I was to let go of the handrails, go face down into the water and try to get back up by grabbing the handrails, forcefully pushing them up while bicycle kicking hard enough to raise me back to the surface. I knew what to do, I thought that’s what I was doing, I wasn’t doing it. That’s the part that was so frustrating, I knew what to do. For some reason, my body wasn’t cooperating. I would start swallowing water, and each time I tried, I swallowed more water, then panicked more and more. 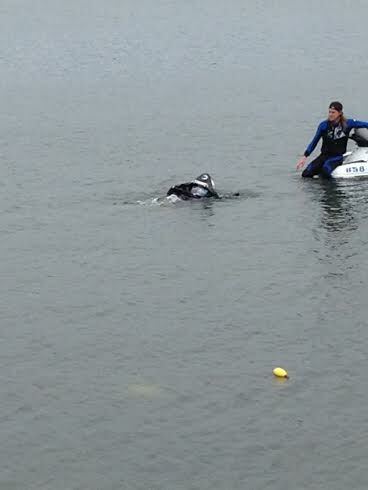 We would stop and the instructors would try and calm me down. Come on, I can relax, I had just come from a yoga class that morning. I can do this. I could not do this. Lacy was telling them not to give up on me, and it could have been very easy for them too. While working at law firms, I got all too familiar with enough Maritime Law and legal liabilities in general to know it was in their best interest to tell me to get out of the water. They cared that I wanted to have this experience, and they let Lacy talk to me and try to calm me down. David was also very patient with me and kept encouraging me without being forceful. I knew that my drowning fears had gotten the best of me and it would be all downwater for me. I was the one that told them that I was done. We were all disappointed. The biggest lesson I learned is that I really need to learn how to swim. Seriously. I have a lot of water related activities I would like to do and I don’t want to hold back. I almost didn’t write this week because it’s hard to admit that you failed at something. But I tried. I put on the suit, strapped on the jetpack and did make an effort. And I will complain that it isn’t fair that I still got some bruises and sore muscles, and didn’t even get the jetpack started. I think my muscles went into overload from survival instincts and tensed up or something. I got a nice cut on my big toe too – and who knows what was in that water I swallowed. Life is full of ups and downs. You can never be disappointed in yourself for trying, because making an effort counts. We tell our kids all the time to just try. We need to follow our own advice and look forward. And I did look forward that day to watching my older son pitch, and celebrating a friend’s birthday. I may have jettisoned the jetpack for now, but one day you will call me Jemma Jetson. Notebook: Jetpack America, http://www.jetpackamerica.com/, locations in San Diego, Newport Beach, Honolulu, Cabo San Lucas, Grand Cayman, and coming soon to Las Vegas. 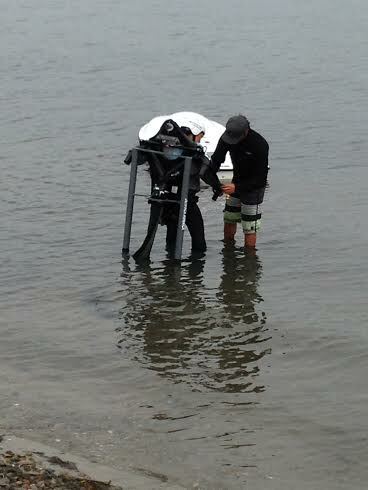 I may not have been able to jetpack, but the pictures show some guys who jetpacked after us. I would recommend everyone to try. Believe me, if I was able to pass that swim test and get up in the air, I’d be signing up for more. During this 50 weeks to 50 journey, some of the weeks are planned in advance, while many of the weeks were inspired by what was happening at the time – news articles, sporting events, personal emotions, Groupon offerings. This week I have nothing. But maybe I don’t need one big new thing to do when I have a bunch of small new adventures all the time. All adventures don’t have to be large scale African Safari types. I usually have my 50 Weeks activities on the weekend. So my non-activity for this week — I will blame on the rain, plus a bunch of other last minute activities. But the activity I was originally planning was outside and it would have been too muddy. Another one would have been perfect in the rain, but I didn’t have enough time to plan. And my last option I decided not to attend, because I wanted to support our UCHS Varsity team and go to the playoff game instead. (Notice I am not divulging these activities because I reserve the right to do them later.) I could have done something during the week, such as some Mardi Gras bead throwing, breast exposing thing, but my schedule was booked with evening meetings. And I do have a day job. I became a little stressed about my non-activity. What am I going to do? This will throw my whole 50 weeks timeline off, and I didn’t want to disappoint my loyal readers — all five of you. But as I thought about it more, I actually did a few things I’ve never done before, just not big scale stuff. I’m lucky enough to work within walking distance of the beach. 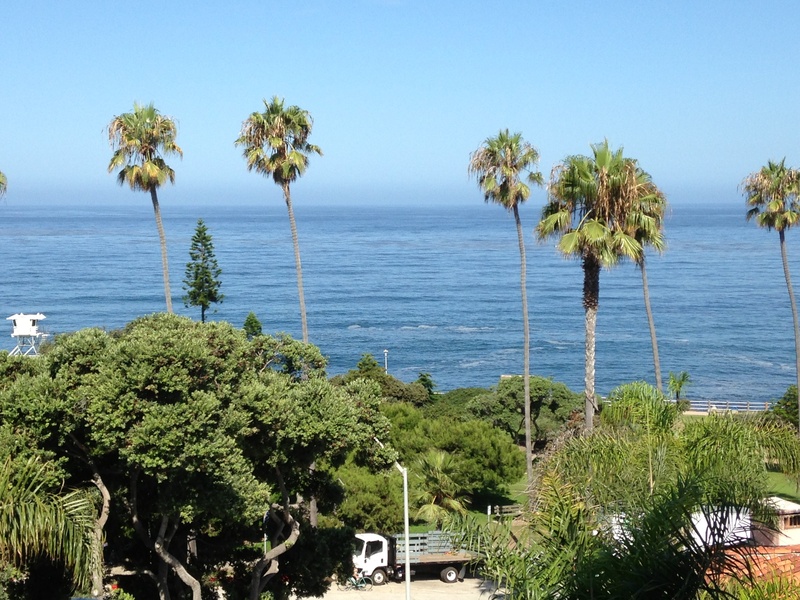 Sometimes it’s nice to grab some lunch, walk to the beach and watch the waves. I can get lost in the sounds of the crashing waves, and the colors of the scary deep blue ocean waters, while looking above to the calmer sky blue. Every now and then it’s okay to get lost. Saturday brought more rain all day. During a break in the weather, I walked to my new route and delivered our UCCA community newsletters and met a couple new neighbors. I felt good about answering questions about our UC events. Good thing I knew the answers, especially about continuing our weekly Wednesday Food Trucks for EdUCate! My boys were staying in (baseball practices cancelled), but since boys will be boys and are always hungry, they demanded food. I had found out that Sonic had recently opened nearby in Kearny Mesa and we had never been to that one yet (I have been to Sonic in Palm Springs and one in Denver). So off we went to Sonic to get burgers. The lines went into the street, but since that was our excursion for the day we stayed in the drive-thru lane. Forty minutes later we placed our orders – burgers, chili cheese dogs, chicken strips, tater tots, fries, onion rings, chili cheese fries, shakes, fudge brownie molten cake sundae — and that was for Grant! Hey we had to make the wait worth it. That evening the whole family went to the UCHS basketball playoff game at Mission Bay High School. I went with my friend Gigi, younger son and friends drove with my ex Brian, and older son drove himself. Hmm, one family, three cars. Not a very good footprint. It was a very exciting game, but we lost. To drown out the disappointment, Gigi took me to some places in Pacific Beach that I had never been to before and she thought I would love. She knows me well, I loved them both. 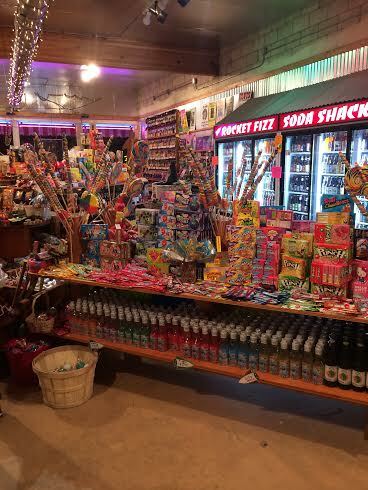 First, she took me to a nostalgic candy shop called the Rocket Fizz. Well, if any place sells candy, of course I would love it. But not just any candy, brands that bring you back to your childhood and others you have never seen before. Remember those cigarette candies that when we were kids, we pretended we were smoking — now we wouldn’t be caught dead trying the real stuff. Plus lots of glass bottled sodas, a four-pack is only $6.99 (I got a Sprite/7-Up grouping to start a bottle collection). And a large variety of memorabilia aluminum posters. I bought candy too (well, duh), and will need to come back for more sodas and decorative items. We jaywalk across the street to World Curry for an evening bite to eat. I had never been there, although they donate to our auctions all the time. We get some chicken satay, salad, katsu curry and Roti, which was such a delicious fried bread that we had to get a second order. All tasty and so many more dishes to explore, since curry dishes from all over the world are available. Yum. And fruity drinks and teas too. After closing the place down, we were too full for a Mr. Frosties treat — I have never been there either — we agree to return sometime soon, another new excursion. Sunday is the usual: errands, shopping, laundry, Farmer’s Market — scarfed down some vegetarian food from Green Door catering, that Martin sure is tasty, I mean his food is tasty. Oh, and later we were having a Freshman team party at Round Table Pizza to celebrate a winning season. My younger son’s first team party in high school. A season where I was able to make new friends with parents of his teammates and reconnect with others I knew from elementary school days. They’re a special group of kids, parents all got along, we all love Coach Alex, and looking forward to growing with them all until they are seniors. After watching my favorite reality show Amazing Race, and looking at two more loads of laundry and grocery shopping still to do (what time does Von’s close), I knew I really didn’t have time to do anything major this week for my 50 weeks. With six meetings in the next three nights, something has got to give. 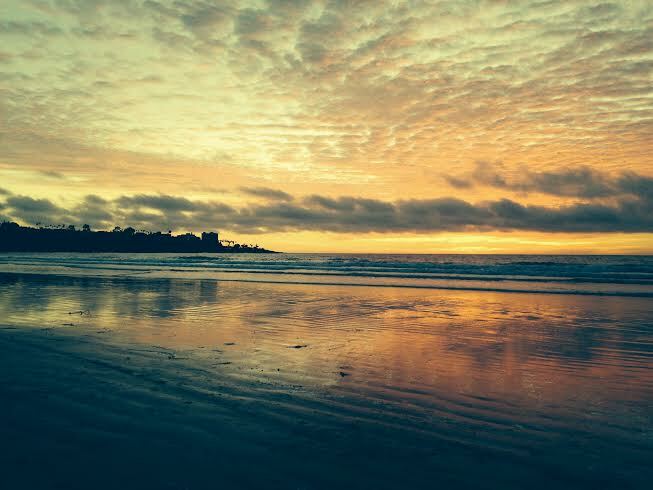 Why are sunsets so captivating? Sunsets draw people to the Shores every night, and along with the other sunset groupies, I find myself in awe of the colors that nature allows us to view. 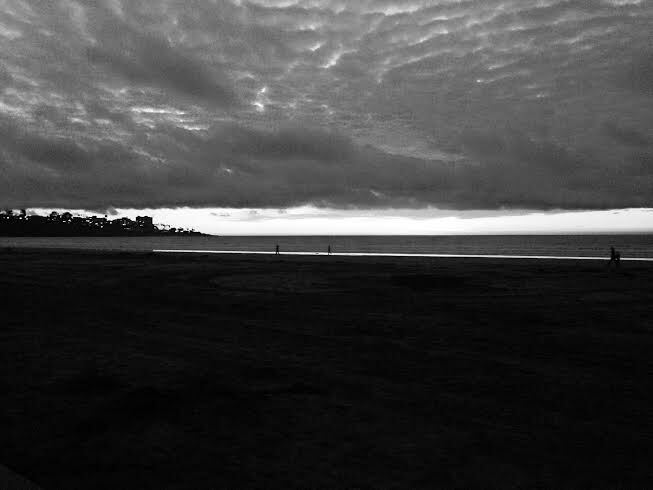 Especially after the storm, the time after the sun sets seems even more mesmerizing. Watching the shore trance-like, my worries all go away. What am I waiting for? Every time I try to leave, I turn around to catch another glimpse of the setting sun’s glory. One last look…and dolphins are playfully jumping over the waves. I smile. Rain, rain, go away, but please come back another day…I want to sing to your song, run underneath your wings, and let your drops quench my thirst for adventure.